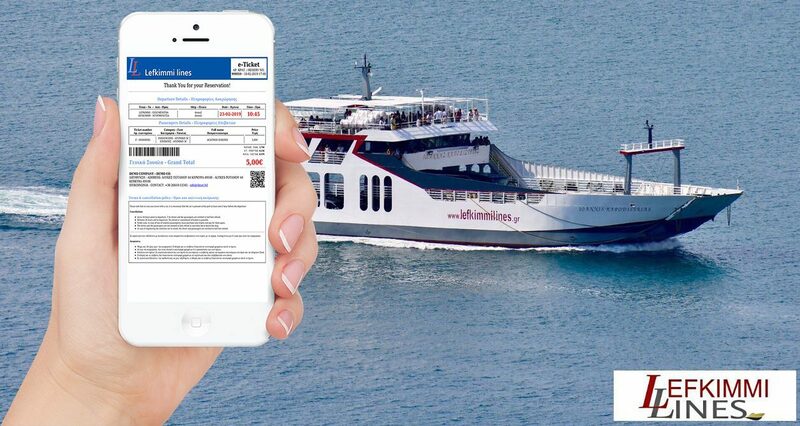 After having booked and completed the purchase of your e-ticket via the Lefkimmi Lines site, you can then print or download it on your cell phone and… you are ready! The only thing left is to enter the ship, bypassing the ticket offices queues! Your e-ticket will be sent to you at the e-mail address you gave. Print the corresponding file or download it to your cell phone or tablet. Show your e-ticket printed or on your cell phone upon your embarkation. By having an e-ticket you do not need to visit any ticket office. You can just head straight to the ship to check-in and embark. However, on busy days you are advised to be present at the port 30 minutes prior to the departure of the ship. In case you travel with a car, you must be at the relevant vehicles waiting area, at least 60 minutes prior to the departure. To board the ship, apart from your e-ticket, you must show your id, or passport, or driver’s license.